There may be instances when you want Mobicip's filtering to be disabled completely. For instance, your school network may already have filtering in place, and lets say you want Mobicip to kick in only when the device is off the school network. This is particularly useful in a Bring Your Own Device (BYOD) or Bring Your Own Technology (BYOT) scenario, and is often recommended by the school or network administrators. 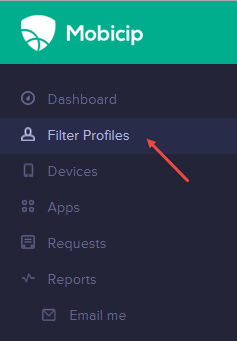 - For the filter profile you wish to edit, click Edit Filter Settings and select the Networks tab. - To whitelist a single IP address, enter the address under that option and add to the list. Not sure what your IP address is or what this means? Visit whatismyipaddress.com or talk to your network administrator. - To whitelist a range of IP address, enter the IP address prefix and subnet mask under that option and add to the list. - You should see the addresses added to the whitelist table below. Thats it! When your device is on these networks, Mobicip will not filter or monitor the internet.